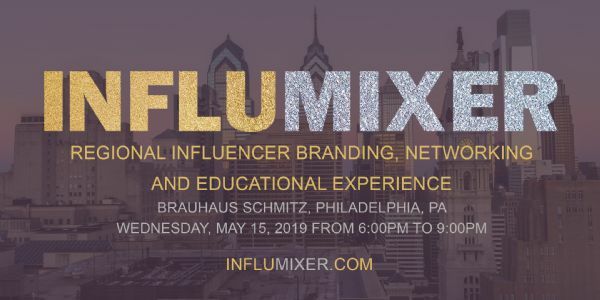 INFLUMIXER is the first ever regional influencer-based branding, networking and education experience. This invitation-only, VIP event will bring together the Philadelphia region's food, beverage, fashion, and lifestyle brands to showcase their products and services directly to local social media influencers. Our sponsor partners will be able to share the story and experience of their brand directly with hand-picked social media influencers, while our influencers will share their brand experience with their thousands of social media followers. Our influencer guests will enjoy cuisine by Brauhaus Schmitz, sample beer, wine and spirits from a variety of local producers and experience some of Philly's unique fashion and lifestyle brands! Each vendor is given category exclusivity so one a category is gone, IT'S GONE! Please contact the event organizer for vendor package information. Our expert panelists, Taylor Schear from Sheer Media and Jennifer Sherlock from Jenna Communications LLC, will be discussing "Marketing in the Digital Ageâ€? and taking questions from our influencer attendees.